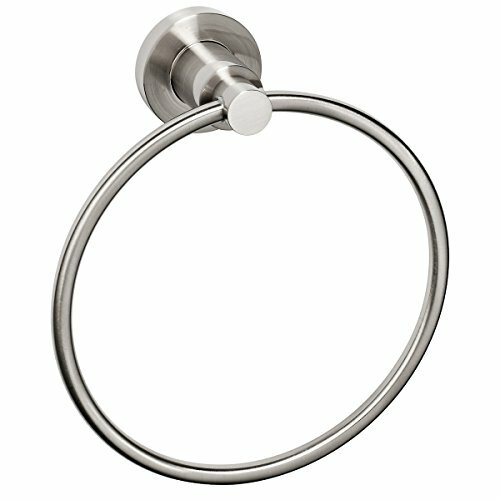 The Manhattan DYN-4011-SN 6-1/2" Diameter Towel Ring by Dynasty Hardware features an elegant design and bright finishes that are sure to add the finishing touch to any bath design. All Dynasty products are made from 100% solid forged brass to guarantee lasting quality. Mounting Hardwre Included.